Find out why the handsome hunks and beauty queens of Bollywood made changes to their names. Was it because it adds to their persona? Is it more than just a stage name? Take a look at how these Bollywood celebrities made their fortunes based on a simple change of name. How they have grown from humble backgrounds and how some of their success has rubbed off on their siblings. Once known as the Tragedy King of Hindi Cinema, Dilip Kumar entered Bollywood with Jwar Bhata in his debut film in 1944. He has over 60 memorable films in his career which has spanned more than six decades. His original name was Muhammad Yusuf Khan. Qila, produced in 1998 was the story where Jagannath Singh (Dilip Kumar) murders his twin brother Amarnath Singh, (played by Dilip Kumar). Here he investigates the list of suspects that he continues to hunt down. Another great classic is Karma, the 1986 film. Directed by Subhash Ghai, Karma is another Hindi classic that features an outstanding cast that includes Nutan, Dilip Kumar, Naseeruddin Shah, Jackie Shroff, Anil Kapoor, Anupam Kher, Sridevi and Poonam Dhillon. Known to be one of the major terrorists, his role in cinema has contributed towards the improvement and development of the Bollywood over the years. One among the stars, Salman Khan is one of the most popular actors in Bollywood. Born on 27 December 1965, the macho man of Bollywood cinema or Dabangg Khan was previously known as Abdul Rashid Salim Khan. His career has grown through leaps and bounds and this was based on some of his item numbers. This includes being an Indian film actor, producer, singer and television personality. With a film career spanning over 30 years, Khan has received several awards that include two National Film Awards and two Filmfare Awards. His journey over the years has been a roller coaster. Some of Salman Khan’s major movies were Biwi Ho To Aisi (1988), Maine Pyar Kiya (1989), Hum Aapke Hain Koun..! (1994) and Bodyguard (2011). Don’t forget that he’s a role model for several and promotes it through his brand Being Human! Ajay Devgan is among the top 10 actors of Bollywood and is a successful director and producer. After taking on a thrilling professional start from Phool Aur Kaante in the year 1991, Ajay won several awards till date. Ajay was formerly known as Vishal Devgan. He is one of the most versatile actors of our times. Ajay is one phenomenal actor that has appeared in several films, out of which two have won National Film Awards and four have bagged Filmfare Awards. He’s a winner of two National Film Awards and four Filmfare Awards with the Padma Shri, the fourth-highest civilian honour in India. Some of his favourite roles include Jigar (1992), Dilwale (1994), Suhaag (1994), Naajayaz (1995), Diljale (1996) and Ishq (1997). One of India’s personal favourites being Hum Dil De Chuke Sanam. One of the most successful actors of the modern era, Akshay Kumar, aka, Rajiv Bhatia is believed to have changed his name to make it huge on the big screens. Some of his most popular movies include Padman, Rowdy Rathore, 2.0 and Airlift among others. He was born on September 9, 1967. Further he studied martial arts in Hong Kong and it was then that he took to modeling. Several roles had come his way and his good looks and excellent martial art skills made him the first choice for an adventurous movie career. This performance provided him with a breakthrough performance in Saugandh in 1991 and his Indian version of James Bond called Mr. Bond (1992). Also, he has been cast along with stars like Raveena Tandon, Shilpa Shetty, Pooja Batra and Rekha. His daredevil stunts and his footwork seem to bring out the best in his abilities in movies like Khiladi (1992) and Yeh Dillagi (1994). Other attempts include his role as Ajnabee where he plays the villain and Phir Hera Phiri. Katrina Kaif, also known as Kat is a successful model and actress. Her claim to fame started in a Telugu movie before she made her debut in Bollywood. Today she is among the top Bollywood actresses. Her name was Kate Turquotte and she changed it specifically for her career in showbiz. She was born in Hong Kong in 1984. After which she lived in Chennai and then she moved to Hawaii and onwards to London. She got her break through in her Bollywood movie Boom (2003) which starred Kaizad Gustad. Her big break was when she was the brand ambassadors of LG, Coca-Cola, Fevicol, Lakme and Veet. It was then that she moved from the Telugu movie industry to the Bollywood. Her best movies are Maine Pyar Kyon Kiya and Sarkar. The Malliswari (2004) is among the top list of highest paid actresses that have made their South Indian debut. 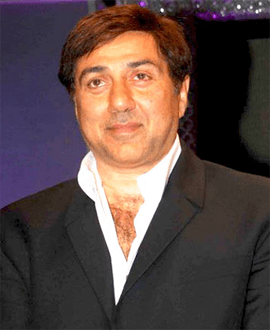 Sunny Deol is known as the ‘Action King of Bollywood,’ and is a successful actor in Hindi Cinema. Besides acting, Sunny has been able to establish himself as a producer and director. His real name is Ajay Singh Deol and once he entered the film industry, he changed his name to Sunny Deol. His debut role started with Betaab in 1983 and this was a love story played alongside Amrita Singh. It portrayed him as one of Bollywood’s best action heroes. This also included movies like Ghatak (1996), Ziddi (1997), Border (1997) and Heroes in 2008. Once upon a time, a small town school girl from Himachal climbed the ladder to fame in Bollywood with her cool, bindas attitude. This film star changed her name from Preetam Zinta to a more attractive Preity! This simply shows the love, courage and sacrifice that she displays through this love story that makes her legendary. Other films include Mani Ratnam‘s Dil Se.. (1998) and Soldier in 1998. Kundan Shah’s Kya Kehna (2000) was one of the successful roles that she took upon despite the other roles she was offered at that time. Though the film was her first, Preity had actually begun shooting for her first release which was Mani Ratnam’s Dil Se.. (1998). The film was a hit which won Preity accolades. Later Abbas-Mustan’s Soldier (1998) was as well a hit at the box-office and this helped confirm her place in the industry. Though Kya Kehna (2000) was her first film, it released in 2000 and was the surprise smash hit that year. She’s currently one of the co-owners of the IPL team Kings XI Punjab. 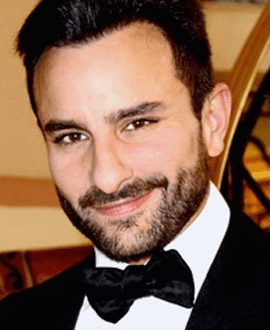 Saif is popularly known as the Nawab Khan and he made his debut in Parampara, a Yash Chopra film, in the nineties. This won him several awards and nominations after which he started ‘Illuminati Films.’ One of his all time hits was Main Khiladi tu Anari in 1994. It was during this time that he changed his name from Sajid Ali Khan to Saif Ali Khan. 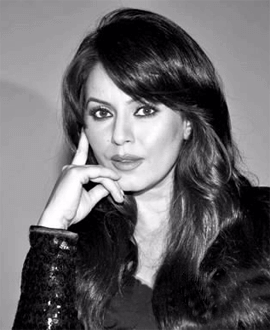 Mahima Chaudhary is a model and actress of Nepali origin and she entered Bollywood with Pardes in 1997. She was born in Darjeeling, where she attended school and completed her graduation at the Loreto College. She was earlier known as Ritu Chaudhary. It was in the 1990s that she won Miss India and she appeared on TV with VJs on music channels. She was first noticed by Subhash Ghai. Her hard work finally paid off when she won the Best Female Debut for Pardes. Her most famous ad was the Pepsi ad with Aamir Khan and Aishwarya Rai and this lead to her growing success with featured movies like Pyaar Koi Khel Nahin, Dhadkan, Deewane and Kurukshetra. It’s through her work with talented actresses like Kajol, Amisha Patel, Manisha Koirala and Raveena Tandon. It was in 2010 that she starred in Pusher which was directed by Assad Raja and comedian Mani Liagat. There were several thrillers which included Mumbhaii – The Gangster with Om Puri and Sanjay Kapoor. Mallika is known for her good looks and stunning dance performances that enabled her to secure the reputation of being one of India’s most beautiful women out there. Well, earlier her name was Reema Lamba and now she is Mallika (Queen) of the Indian entertainment industry. She married Karan Singh Gill. It’s with this passion that she looks to ensure that her love and beauty radiates with everyone around. Her work has helped her with the Advisory Board of the Asian Academy which includes film, television and those that support the film education in India. Some of her favourite co-stars include Chandrachur Singh (who opted out), Aditya Pancholi, Sanjay Suri, Sharad Kapoor, Neha, Arif Zakaria, Jaya Seal. Want To Be One Among The Stars? There are 0 comments on "10 Bollywood Celebrities That Got Success After A Name Change".